TransForce is seeking full - time professional drivers in the Harrisonville, MO area. TransForce is seeking full - time professional drivers in the Upland, CA area. TransForce is seeking full - time professional drivers in the Corder, MO area. TransForce is seeking full - time professional drivers in the Pasadena, CA area. TransForce is seeking full - time professional drivers in the Laguna Woods, CA area. TransForce is seeking full - time professional drivers in the Williamson, TN area. TransForce is seeking full - time professional drivers in the Chino, CA area. TransForce is seeking full - time professional drivers in the Industry, CA area. TransForce is seeking full - time professional drivers in the San Clemente, CA area. TransForce is seeking full - time professional drivers in the Menifee, CA area. TransForce isn’t just the nation’s leading CDL truck driving job staffing company! We’re the leading staffing company that focuses solely on matching experienced drivers with custom-fit opportunities that suit their lifestyles. As a TransForce member, you have the unique ability to change assignments without having to switch employers and start over. Along with that comes flexible scheduling, your option of dedicated assignments, competitive pay, and a benefits package that follows you throughout your journey with TransForce— even when you choose to move assignments. 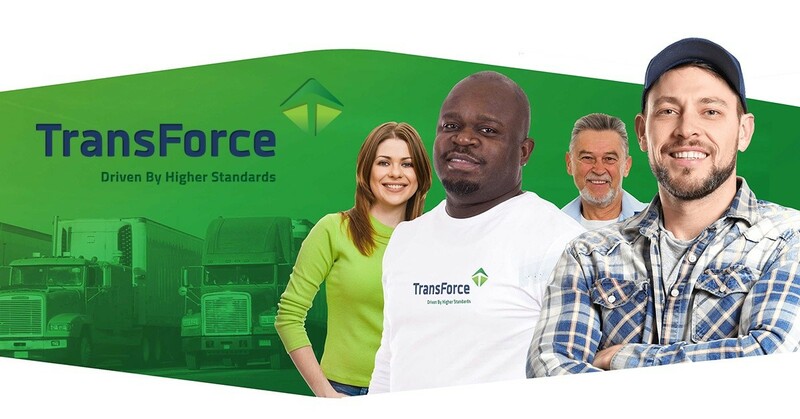 Join TransForce today and see why more than 10,000 drivers per year are proud to say they’re a part of the TransForce team. TransForce proudly welcomes veteran applicants. Military personnel with driving experience are invited to complete a CDL skills test waiver. This allows qualified service members to easily apply for a Commercial Driver License. • We can use your DD214 to verify your previous driving experience. • We offer a variety of safety resources and training to ensure every driver comes home safe. • We match you with the opportunities that best fit your lifestyle and experience.